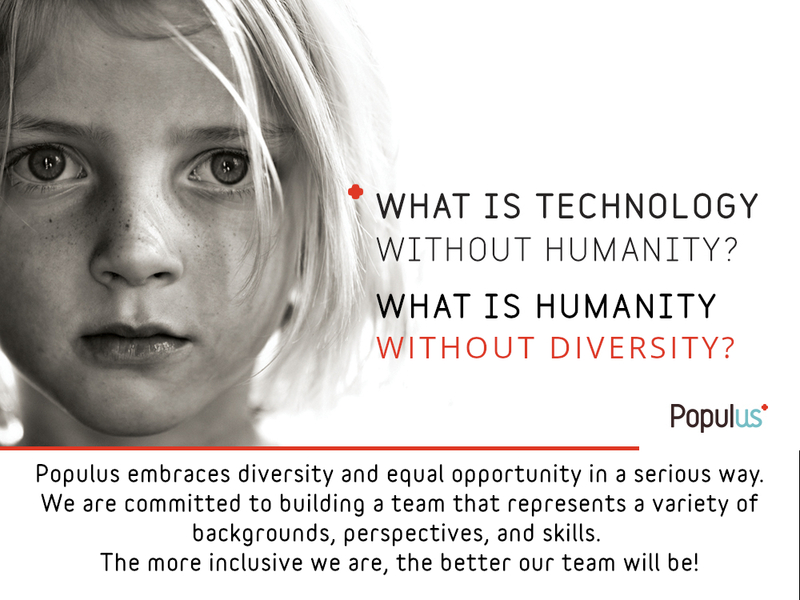 Careers | Populus Plus - What is Technology Without Humanity? Are you someone who has Initiative, is Motivated, a Problem Solver, a Communicator and Eager to learn & contribute? Do you want to work on a product that positively impacts people’s lives? If you answered yes to either of these questions then you should check out our opportunities! You need to have a strong passion for software development and take pride in your work. You need to respect our customers, our team members, and be driven to deliver world class health technology solutions. If you have strengths not mentioned already, highlight them, even if it’s an aptitude for ping pong! (we like ping pong). We need someone who not only has the right qualifications but also has the desire to work with a driven and experienced team to help make positive change in support of strengthening the delivery of health. If you have a desire to learn and want to contribute to an innovative population health platform, then you may be the right fit for us, but most importantly, Populus may be the perfect fit for you.